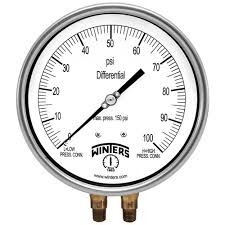 Pioneers in the industry, we offer liquid filled pressure gauge, differential pressure gauge, digital pressure gauge, precision test pressure gauge, melt pressure gauge and diaphragm sealed pressure gauge from India. 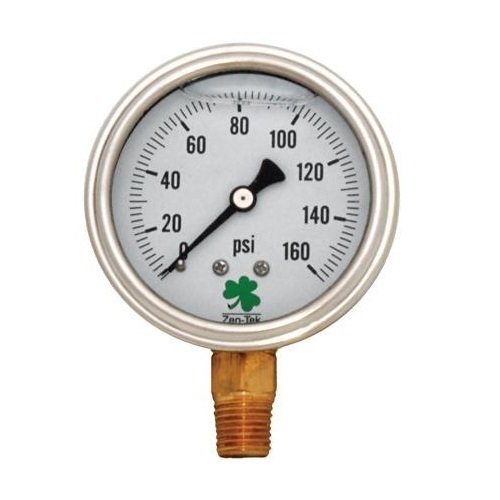 Our reputation in the market is largely attributable to our precision-designed Liquid Filled Pressure Gauge from our extensive collection of products. The offered gauge is ideal for dampening the effect of Vibration & Pulsation. Increase the life of gauge due to internal lubrication under extreme operation condition. In order to ensure quality, provided gauge is stringently tested on various parameters by our experts. Apart from this, remarkable quality and sturdy structure increase the demand of our offered range in the market. Ø 40, 50, 63 & 100 mm. ± 1.6 % of full scale for 40, 50, 63mm dial size. ± 1.0 % of full scale for 100 mm dial size. S.S. 304 Machine Sealed Crimped Bezel. ≤ 100 Bar 125% of full scale value. > 100 bar < 600 Bar 115 % of full scale value. S.S. 304 For 100mm Dial. Brass Nickel Plated for 40, 50 & 63mm Dial. Aluminum – White with black marking. Aluminum black finish (Micro Zero Adjustable Optional. 4 mm Acrylic Window as Standard. Safety / Toughened Glass Optional. Neoprene / EPDM Rubber at Back Size of Case at 0.6 Kg/cm2. Top of Case with Vent Valve. For 40mm – 1/8” BSP / NPT / BSPT. For 50 & 63mm – ¼” BSP / NPT / BSPT. For 100 mm – ¼” , 3/8” , ½” BSP / NPT / BSPT. -30” Hg VAC, Compound & Pressure up to 700 bar For 50 & 63mm Dial. -30” Hg VAC, Compound & Pressure up to 3500 bar For 100mm Dial. -30” Hg VAC, Pressure up to 70 bar For 40mm Dial. SS 316 Case & Bezel Available on Request. Ammonia ( NH3) , Qxygen ( O2) , Freon Scale Available on Request. Eco model ( 63 , 100 & 150mm Dial ) Available on Request. Pipe line & Transmission Station Where Vibration & Pulsation are Destructive Factors. We are dedicatedly engaged in offering a commendable range of Differential Pressure Gauge (Single Diaphragm type). Suitable for Corrosive Atmospheres & Gaseous Media, this gauge is used to check the differential pressure of gases & liquids which do not have high viscosity and do not crystallize. The offered gauge is available with us in various specifications at an affordable price. Nominal size: Ø 100 & 150 mm. Case & Bezel: S.S. 304 with bayonet bezel. Other Process Connection Through Adaptor Available on Request. Electrical Contact Available on Request. 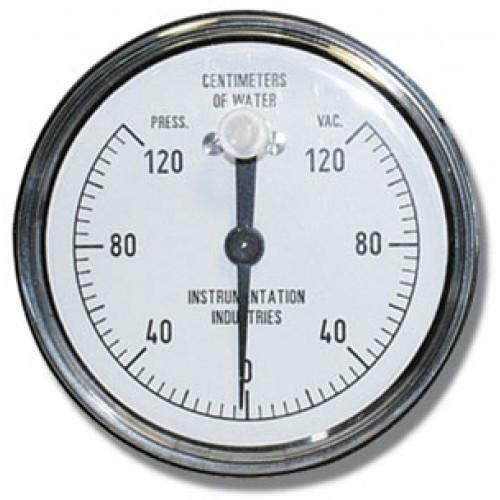 By utilizing our years of experience, we bring forth a qualitative array of Digital Pressure Gauge. The offered gauge has the state of the art customized large character display showing pressure with Units, Low Batt, min, max. It is very easy to use and you will never get lost in a multilevel menu system, in fact, you may never need to open the operation manual. In tune with industry standard, we provide the entire range in various customized options and industry leading prices. 1/4" BSP (M) standard or As Required. 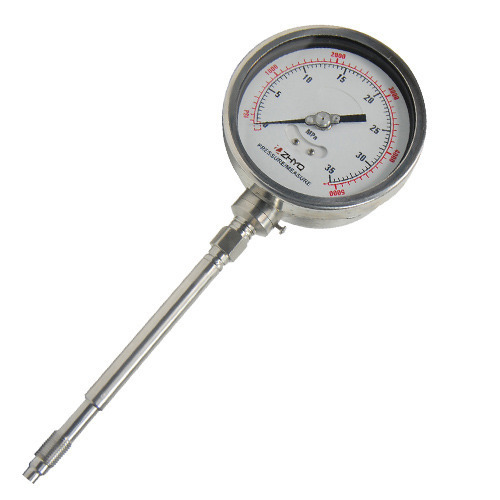 Being a customer oriented firm, we are engaged in offering a wide range of Precision Test Pressure Gauge. 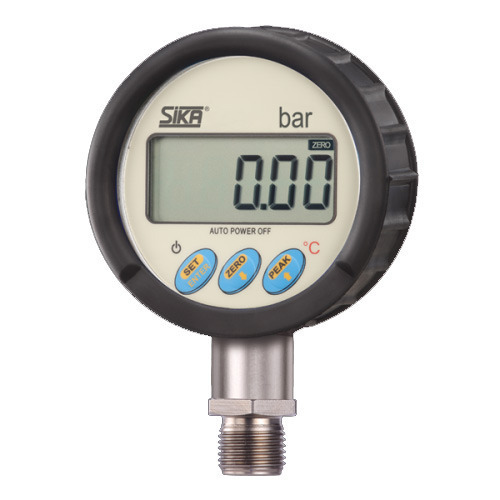 This gauge is extremely sensitive & highly accurate with adjustable knife edge pointer & mirror bands on the dial to assure precise readings and to eliminate parallax error. It is also suitable for gaseous & liquid media particularly for testing & calibration. Keeping in mind the diverse requirements of our clients, we provide entire range in various specifications and at an affordable price. Ø 150, 200 & 250 mm. ± 0.25 % of full scale for MG Model. ± 0.5 % of full scale for TG Model. S.S. 304 with bayonet bezel. S.S. 316, Monel Bourdon tube. Optional Phosphor bronze& Beryllium Copper up to 70 bar. S.S. 316 High Precision With Bi-Metallic Link for Temperature Compensation. Aluminum – White with black marking & Mirror Band. Aluminum knife edge Micro - Zero Adjustment type. Laminated Safety Glass / Toughened Glass. Argon arc welded For S S & Silver Brazed for Copper Alloy. Dual Scale Kg/cm2 With PSI & Bar With PSI on Request. Backed with leading–edge technology and experienced professionals, we are offering an extensive range of Melt Pressure Gauge. This gauge is designed with sealed diaphragm to eliminate the need of grease and prevents melt contamination & gauges plugging with involving with high-temperature application. Offered gauge is used in diverse industries such as chemical, processing, etc. Clients can avail the entire range from us at an affordable price. ± 2.0 % of full scale. S.S. 316 Helical Bourdon tube. 125% of full scale value. Aluminum black finish Micro - Zero. 4 mm Toughened / Safety Glass. Radial Bottom Direct Mounting ( For Rigid Stem Type). Back Flange Surface Mounting (For Capillary Type). ½”- 20 UNF Male Thread ( Standard ). Other Process Connection on Request. ‘J’ Type & ‘K’ Type Thermocouple Output available on request. In line with clients' variegated requirements, we bring forth a distinguished collection of Diaphragm Sealed Pressure Gauge. 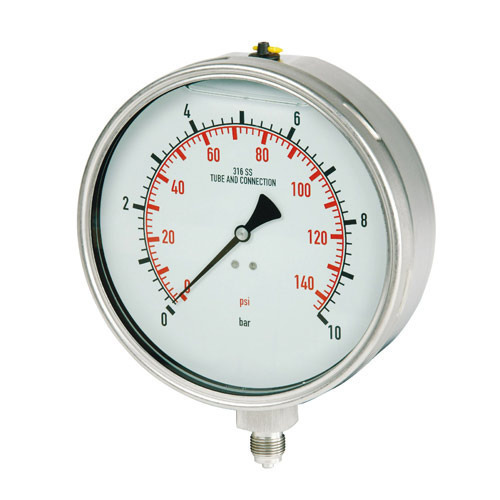 This gauge is recommended where the medium to be measured is highly viscous or contains suspended solids or is potentially corrosive to Bourdon Tube. Sealed units are connected to the gauge directly or thru flexible capillary for remote sensing. Pressure is transmitted from Diaphragm Sealed unit to the gauge by a suitable filling media. Being a quality-oriented organization, we assure our clients that this gauge is excellent on counts of durability and quality. We offer this gauge at most affordable rate. Ø 50, 63 , 100 , 150 , 200 & 250 mm. S.S. 304 / S.S. 316 / S.S. 316L (Monel 400 Optional). Aluminum black finish Centre Zero / Micro – Zero. Fitted with Acrylic Window as Standard. PTFE Coating & Other on request. PTFE / PFA Coating & Other on request. Silicon ( Standard ) / Halocarbon, Glycerin, Vegetable Oil etc..
-30” Hg VAC, Compound & Pressure up to 1000 bar. Offshore, Ship Building , Power Plant , etc. With a desire to cement our reputation in the market, we are engaged in offering an excellent range of Electrical Contact Pressure Gauge. Offered gauge incorporate a mechanical magnetic snap action Contact mechanism into an indicator. It generates ON and OFF electrical signals at the preset pressure. This eliminates the need for separate switches for equipment. Apart from this, our quality experts perform a series of test on the entire range ensuring its flawlessness. Ø 100 & 150 mm. Gauge Accuracy ± 1.0 % of full scale. Switching Accuracy ± 2 % of full scale. S.S. 304 with bayonet bezel & Extension with Polycarbonate hood. Aluminum black finish Centre Zero Adjustment. Magnetic Snap Action (Silver Nickel Alloy ). 1NO, 1NC, 2 NO, 2 NC, 1 NO + 1 NC, 1 NC + 1 NO & 2 NO + 2 NC. 380 V AC / DC, 50 VA, 30 W, 1 to 5 Amp. Maximum. -30” Hg VAC, Compound & Pressure up to 2500 bar. Electric Contact with Diaphragm Sealed available on request. Electric Contact with Differential Gauge available on request. Electric Contact With Low Pressure Diaphragm Gauge available on request. Control & Regulation of Industrial Process. Monitoring of Plants and Switching of electric circuit. By keeping in mind the track of advanced market development, we are engaged in offering an exclusive range of Utility(Commercial) Pressure Gauge. 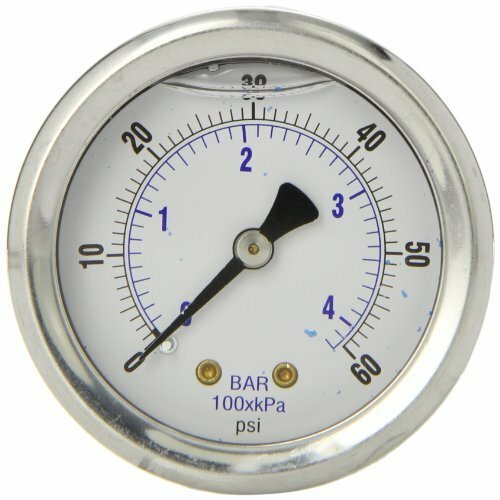 This gauge is suitable for all gaseous & liquid media that will not obstruct & not attack the copper alloy pressure system. 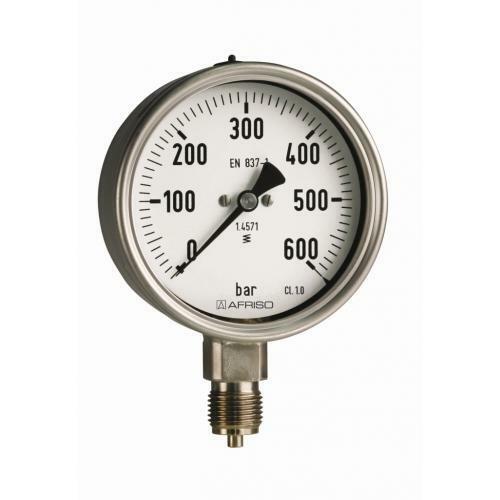 The offered gauge is broadly acknowledged among our clients for its optimum quality, fine finish and durability. Apart from this, our clients can avail this gauge from us at market leading prices. Ø 40, 50, 63, 80, 100 , 150 , 200 & 250 mm. Drawn Steel black powder Coated Press Fit type. Brass ( S S 304 Optional ). Clear Plastic ( for 50 & 63mm BCPM model ). Soldering ( C Type ). Silver Brazing ( Helical Type ). Front Flange 3 Hole Panel Mounting. For 50 & 63 mm Dial – 1/8”, ¼” BSP / NPT / BSPT. For 80, 100 & 150mm – ¼”, 3/8” BSP / NPT / BSPT. For 200 & 250 mm – 3/8” , ½” BSP / NPT / BSPT. -30” Hg VAC, Compound & Pressure up to 700 bar. S S 304 Case & Bezel Available on Request. Freon Scale Available on Request. 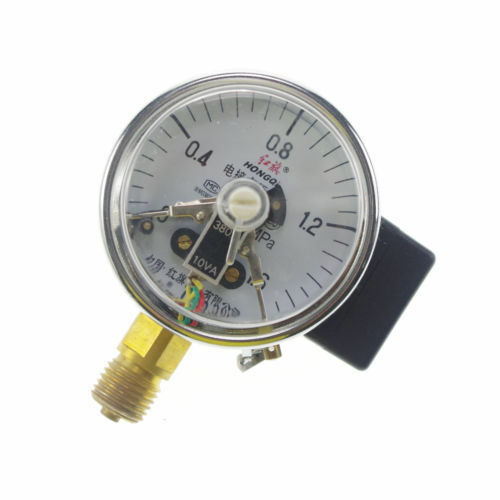 We are among the acclaimed firms, engaged in offering high qualitative Schaffer Capsule Low Pressure Diaphragm Pressure Gauge. It designed for measuring the pressure or vacuum of substances avoiding the use of Bourdon Tube. This gauge is suitable for application of dry & gaseous measurement. 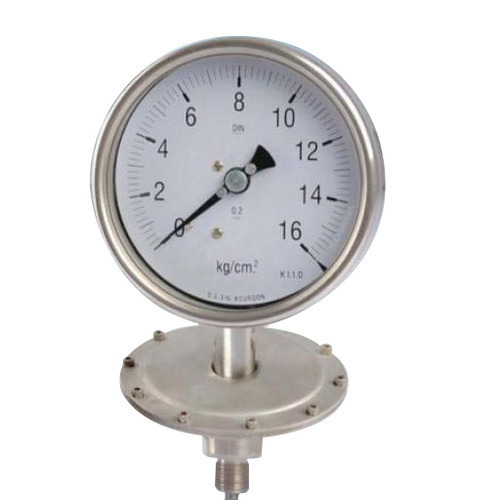 According to the specific clients' requirements, this gauge is made available in various specifications. Clients can avail the entire range from us at an affordable price. Process : -25 C to 150 C Direct. S.S. 316 Diaphragm / Capsule. S.S.316 (Standard ) / S.S.316L & PTFE Coating on request. S.S. 316 ( Standard ) / S.S. 316L, PTFE Coating / PFA Lining on request. 760mmHg Vacuum, Compound, 0.6 to 21 Kg/cm2 . Available with Electrical Contact system With LPD & SCH Model Only. Environment & Heating Engineering. Level Indication & Filter Monitoring. Under the strict supervision of our experienced professionals, we are offering a wide collection of Glycerin Filled Gauge that is widely demanded in processing industries. Our offered gauge is available in a variety of sizes and other such specifications to choose from. It is ideal for dampening the effect of Vibration & Pulsation. Increase the life of gauge due to internal lubrication under extreme operation condition. The offered gauge can also be availed from us at the industry leading prices. With a thorough understanding of the relevant industry, we are offering a wide range of Weather Proof Gauge. Offered gauge is suitable for corrosive atmospheres & aggressive fluids or gaseous Media that will not obstruct the pressure System. In tune with different requirements of our copious clients, we customize the entire range in various sizes. Our offered gauge is gained exceptional value amongst our clients for its defined features. ± 1.0 % of full scale for 100 , 150 , 200 & 250 mm dial size. ± 1.6 % of full scale for 50 & 63 mm dial size. (< 100Bar C type & ≥ 100 Bar Helical type). 4 mm Toughened / Safety Glass, Glycerin filled Gauges are Fitted with Acrylic Window as Standard. -30” Hg VAC, Compound & Pressure up to 700 bar For 63mm Dial. -30” Hg VAC, Compound & Pressure up to 2500 bar For 100, 150, 200, 250mm Dial. Maximum Reading Pointer (MRP) on Request. Solid Front Case ( Safety Gauge ) . 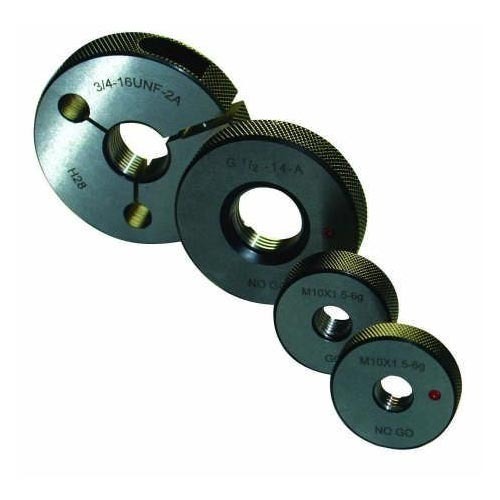 We have exhibited our technological expertise to provide top rated services for Thread Ring Gauge. We deal in industry approved range of metric thread gauges that are used for calibrating thread work pieces. Besides, the unmatched quality of this gauge ensures compliance with the challenging demands of gauging external thread of solid type. Further, we are sourcing the high-quality gauge from renowned sources and delivering at a leading price. 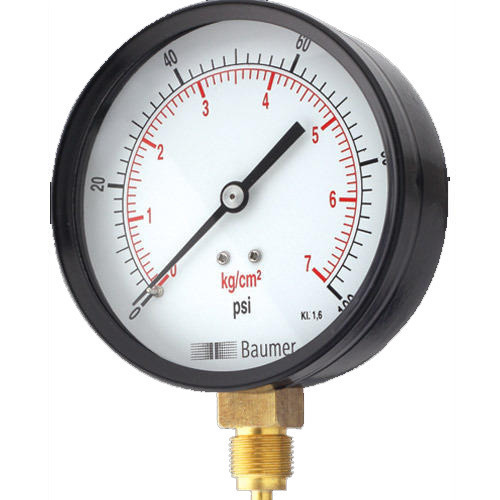 We are a successfully engaged in providing superior quality Pressure Gauge to the clients. 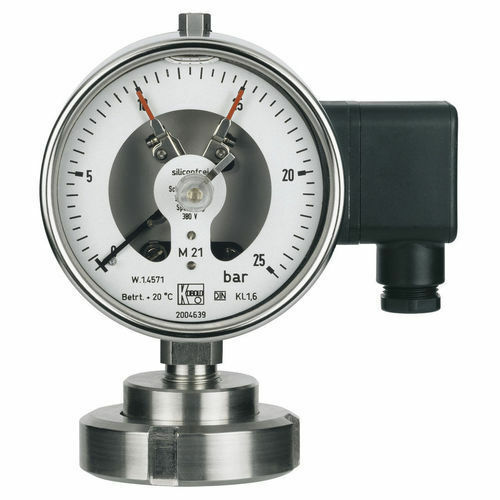 This pressure gauge enables the measurement and display of pressure values in a single instrument. They are ideally suited for equipment where excessive vibration and pulsation are encountered such as pumps, compressors and machine tools etc. Our valuable clients can avail these gauges from us at very affordable price. 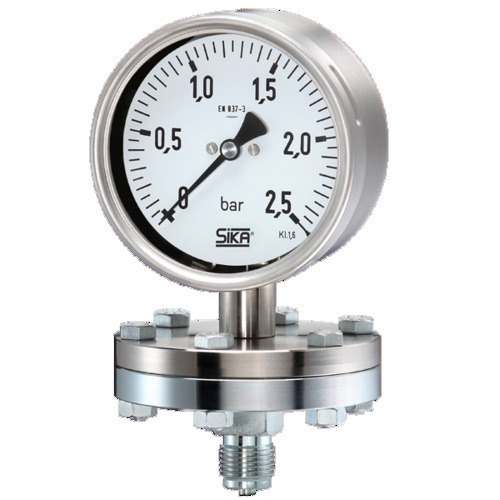 Size: 1.5", 2", 2.5", 4"
While climbing the success ladder, it has become increasingly important for us to deliver precisely tested and a high-grade assortment of Pressure Gauge. 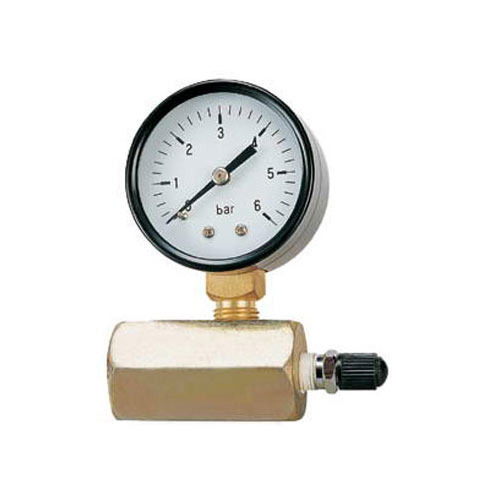 Being a well-established organization, we bring forth an excellent assortment of Differential Pressure Gauge. Nominal size: Ø 63, 100 & 150 mm.